Where to leave the rake in the bunker? PING Fitting Day - Don’t miss out! Don’t miss our Titleist Fitting Day! Callaway Fitting Day at Worcester GC.. Still thinking what to buy for Christmas? Ollie wins and secures 2018 European Tour card! Flash August Bank Holiday SALE! Don’t let this game changer go untried..
Wadley is the new Junior Club Champion! Are you filling the Gap? Take Advantage of FREE lessons! Trade In Trade Up! Cash for your old stuff! Demo day here at Worcester! The 2016 season is now here! It's landed! Become one of the first to try it! Is it time to change…? Wintery Worcester has the Best Offers! Set your goals for 2016! 2016 promises to be very exciting! Make golf easier in 2016! Look out for the future! Leave it close with our help! Winter is Coming! Time To Train Correctly! Is your putting as consistent as you want? Ollie's US Open journey has begun! Ollie to play in the US Open! Ollie's Teeing it up at Wentworth! Phil and Rob Take the Big Prize! The Biggest Medal in Worcester's History! Get the clubs that suit your game! We have some fantastic offers in place! What a start to our Competition Season! Make sure your equipment is right for you! We have some great offers in store! Do you know how to defeat the cold? Ollie makes his first cut! Make 2015 your best year! Have a look at our Flash shoe sale! Ollie to make his debut on Tour! Check out my fantastic club deals! Winter Rules in place from tomorrow! Regular Lessons Get you Results! 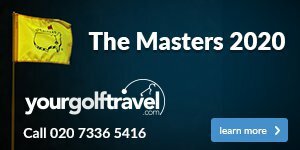 Book in your 1/2 hour golf session now! How to Rule in Match Play! Lessons Get You to Finals Day! Graham and Shawn come third! Come along for a putter clearance sale! Our demo day is fast approaching have you booked your slot? Who will reign as the best putter in the club? Graham and Shawn are off to Gleneagles. Our club championship is this weekend, who will come out on top? Drop in and see what special offers we have on golf bags! How can lessons with our staff improve your game? Masters Specials in store this week only! Martin Bennett Finds Putter Fitting Wins the Money! Does your driver have enough loft for you? Alex Band gets to single figures!